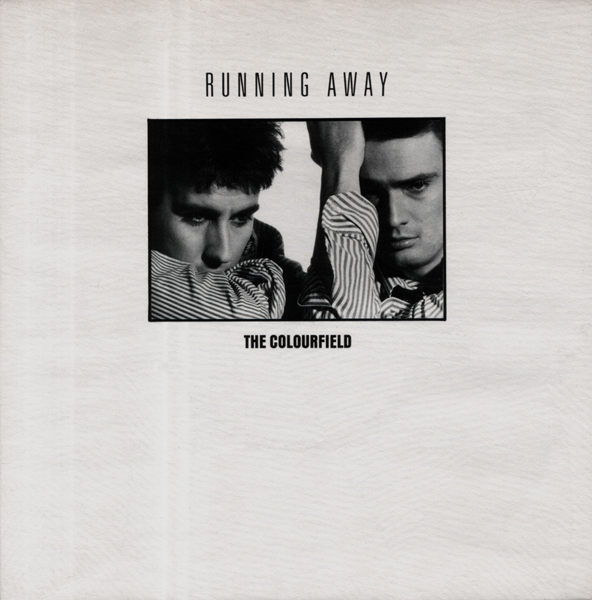 The Colourfield were a British band formed in 1984 in Manchester when former Specials and Fun Boy Three frontman Terry Hall joined up with ex-Swinging Cats members Toby Lyons and Karl Shale. Despite the fact that all three of the hailed from Coventry, they made their homebase in Manchester. Deception was to be the last album released by the band. During the recording of the album Karl Shale left during the sessions. Terry has since voiced his displeasure with the recording of the album because he did not feel he had the control of the session musicians and producers the way he needed to preserve The Colourfield’s sound. Deception was much less successful than its predecessor Virgins and Philistines, and only reached #95 in the UK. It was promoted by two singles both cover versions. The first “Running Away” a cover of the Sly and the Family Stone hit made #84, the second single “She” (originally performed by The Monkees) didn’t chart at all. The 12″ single of “Running Away” was released in the US as a Promo with remixes by Arthur Baker. The track features Roland Orzabal from Tears For Fears on guitar.